I love reading a book where it is written in layers. In this story we find things out one layer at a time. It added such depth to the story and made it a compelling read. I had to ask myself what I would do for my kids. Would I risk my marriage and my own freedom? I would like to think I would. I think most parents feel that way. There were so many messages the reader could take away from this book. Messages about being truthful no matter what the cost. The message that child abuse is never okay and should be dealt with. I know this is easier said than done. Trust was a big part of this book. Catherine/Robin’s lack of trust, or fear of trusting completely. This book touched some tender spots in my own life which made it a compelling read as well as a hard read. Catherine the main character is facing every parent’s nightmare. Her son’s leukemia is killing him. Without a bone marrow transplant he will die. The best chances for a match is through family. This is where the story gets really interesting. 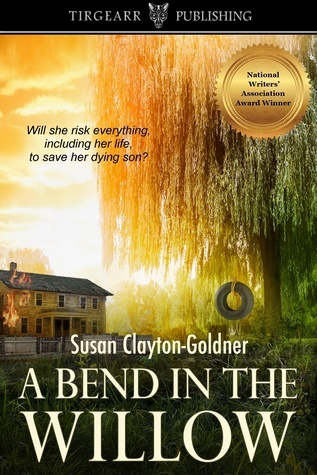 Catherine must face her past if she wants to have a chance at saving her son. This is a past so horrific that she fled twenty years before, legally changed her name and moved on with life. Throughout the telling of this story as we learn about her past she paints herself as weak. We the reader can draw on how much strength it took to leave. The guilt over the years has eat her up. Her father, a drunk died in a house fire. She watched him burn. She did nothing to save him. There is no guilt about that because the family secrets died with him. However, after searching the house and making sure her brother was not there she runs away. Fear of being arrested for not helping is one of those issues. She carries the guilt of having never located her brother and then changing her name and moving on. Then we learn of a son born nineteen years earlier. She must contact him and try to find her brother if she has a chance of saving her son. When she locates her brother her guilt comes back double. Her marriage is in jeopardy because she had to tell her husband about her past to try to find her family. He reacted the way she thought he would. She no longer cares about the consequences of possibly being arrested for her father’s death. She is spurred on by her son’s dire situation. Then she meets Her brother’s wife and daughter. Can this small child save them all? I really wanted to leave this with so many questions that anyone reading this review would have to read the book to find the answers. I sat and read this book from cover to cover. I just could not put it down. It was absolutely awesome.